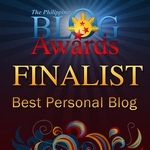 MICAMYX » Personal Blog of a Dagupena Dreamer » Archive » Why I Love Jade Lopez – The Real Survivor! Why I Love Jade Lopez – The Real Survivor! STARSTRUCK BATCH 1: They dreamed, believed and survived! HERE’S ANOTHER INTERESTING TRIVIA ABOUT ME: I am a big Starstruck Season 1 Fan. Yes I really am! I was one of those high school students who got hooked and thrilled with the very first reality-based artista search in the Philippines. I was one of those internet addicts who would regularly post in forums and Yahoo Groups just to keep in touch with co-fanatics. You can ask me some information about them and there is a big chance that I’d give you the right answer. I am not really sure if you are a regular viewer of the show, but some of its popular graduates of the first batch include Jennylyn Mercado, Mark Herras, Yasmien Kurdi, Rainier Castillo, Katrina Halili, Tyron Perez and Cristine Reyes. Although the 14 Starstruck finalists were all talented and good-looking, there’s this one girl whom I really liked among the rest. Her name is Jade Lopez. I remember this girl wearing an orange top during her audition. It turned out to be a Batanguena named Jade Hanzel Dimapilis Lopez, who was later on introduced as Jade Lopez. Why do I love her? During that time, I saw myself in her. She is a fighter and according to her publicity profile, she was a consistent honor student in school and she had done a number of modeling jobs too. Since she is appearing in a reality-based show, I was able to see her true persona and yes, she’s really like me LOL. Even my high school classmates agree with me. I felt bad when she was the fourth contestant to be eliminated from the show. So I met him and he’s not a bad fella at all 😛 He told me that I remind him of Jade and then I confessed that I am a big fan of Jade. I didn’t know back then that something special is about to blossom between the two of them during that time. We managed to exchange text messages until he confirmed that Jade’s going to the concert too! In 2005, I attended Christian’s college graduation party in Baguio City (He graduated from University of Baguio). I saw Jade and Cristine there and they were nice to me. Wait, did I mention that I once made a fansite for Jade Lopez when I was in high school? Thanks to my good friends whom I’d rather not mention because they helped me out with the layout, domain and all the site stuff. Blogs were not yet popular back then. Fast forward to 2008 – > I decided to stay in Manila and pursue my career. I can say that Jade and I became real good friends. From a fan to a good friend, that is. 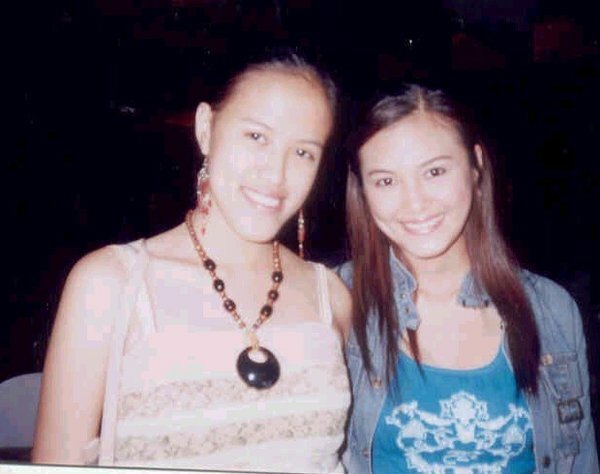 There were times wherein we’d go out together with her mom or I’ll join her in her taping for an afternoon series. I even spent my Holy Week break last 2008 in Tanauan, Batangas since I have nowhere to go that time. We all know that almost all of Jade’s contemporaries in Starstruck are doing well in their respective showbiz careers. I can say that I admire Jade still up to this day because she’s not only a good actress, she is also a good student. For the meantime, I am hoping that our first film project The 12th of June will make it big in YourIndieFilm and in the other film festivals abroad. Yey! Please do vote for The 12th of June! All you need to do is to register and vote for the film at YourIndieFilm.com. So far, our film is the only Filipino who made it at the Top 10.Register, Watch and Vote for us and Help us win! 12 Comments to Why I Love Jade Lopez – The Real Survivor! The short film was great and did a great gob acting. I already invited some of my friends to watch the film and vote. I hope this short film will also win the contest. yup…im a big fan of starstruck too.. and congrats for the short film..